About a 5 hour drive from LA, Yosemite National Park makes for a good road trip from southern California. Look at me talking as if I live here. OH WAIT. I do. After about 255 miles from LA, a friend and I reached Mariposa where we rented out an airbnb for 3 nights. 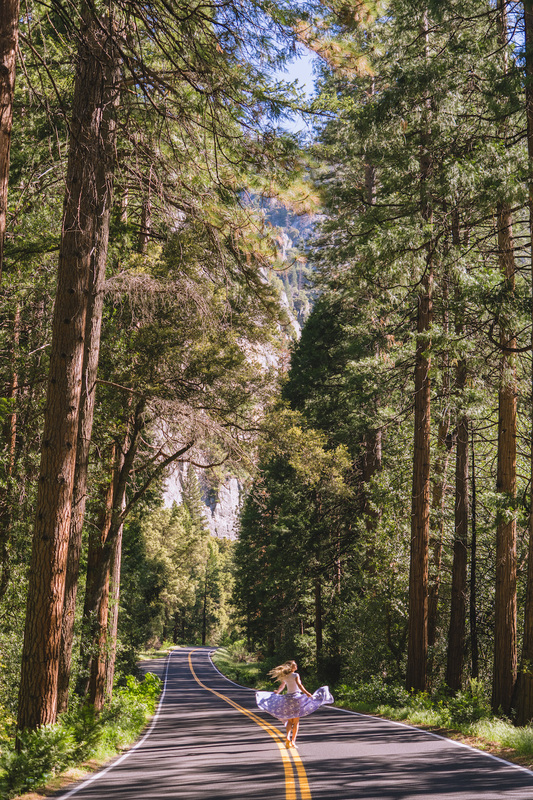 A lot of visitors also opt for Groveland (check out Pine Mountain Lake), and with a 25 minute drive to the Yosemite gate (when CA-120 is open) and about an hour fifteen total to Yosemite Valley, it’s just a little shorter of a drive into the park than Mariposa. 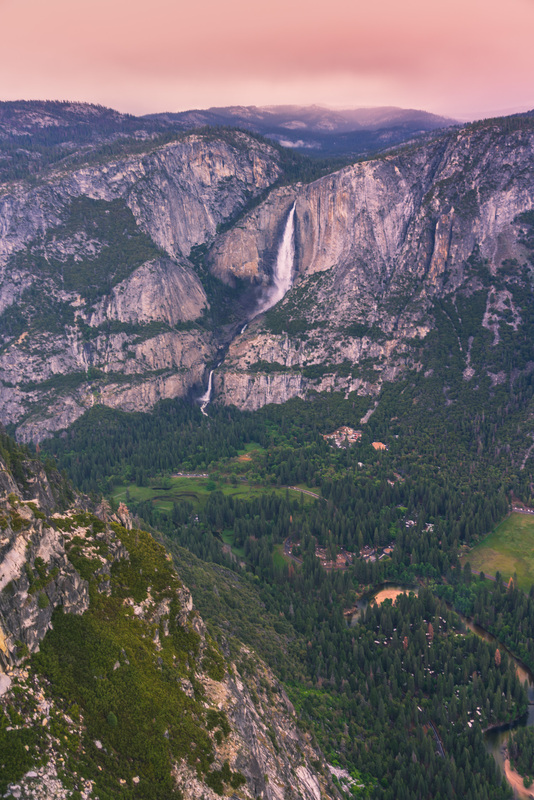 The hotel sitch can be tough with only a few inside the park (Majestic Yosemite Hotel)…and with any National Park visit comes high prices. 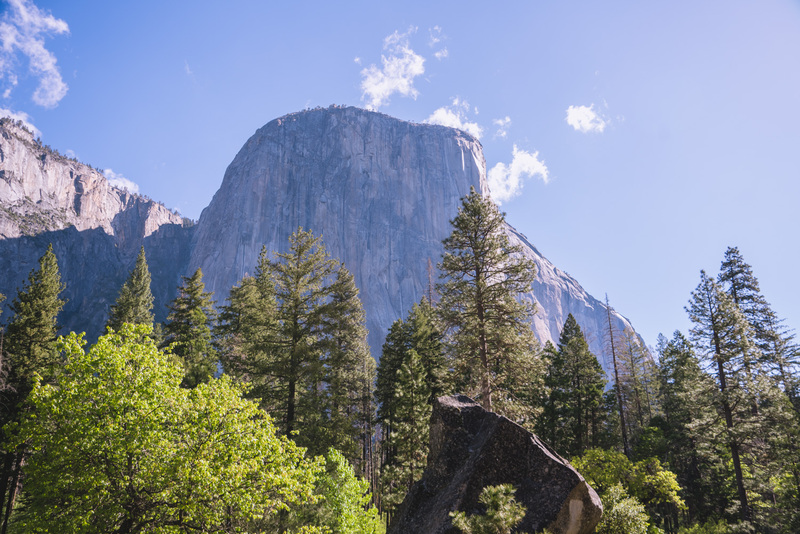 Half Dome – What.A.Beast. 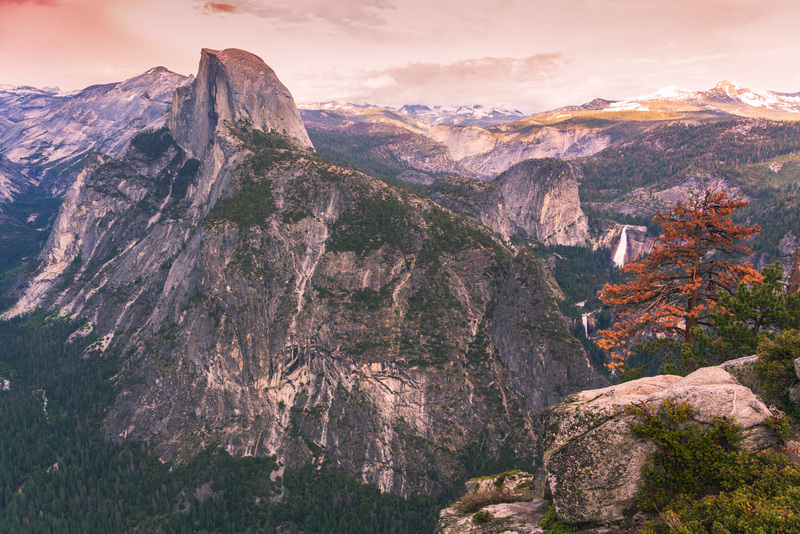 The famous half dome is a 14-16 mile round trip with an elevation gain of almost 5,000 ft. The last 400 ft to the summit is done with cables. Many people call it quits before then, but I can’t wait to go back for this challenge. A permit is needed only for the cable portion at the very end, and a “Daily Lottery” drawing happens 48 hours in advance here. If you want to explore Tioga Pass, wait until late May/early June to do so. The National Park Service keeps an eye on the weather and road conditions. Of course I visited less than a week before the Pass opened 🙂 Ugh, I’m never early in life unless it comes to CA-120. Missed it by 6 days! We did, however, luck out and get to explore Glacier Point as it opened April 28th. Hike early because crowds will come. We started the drive from Mariposa to the valley around 7:30am both mornings. Bring food and water. 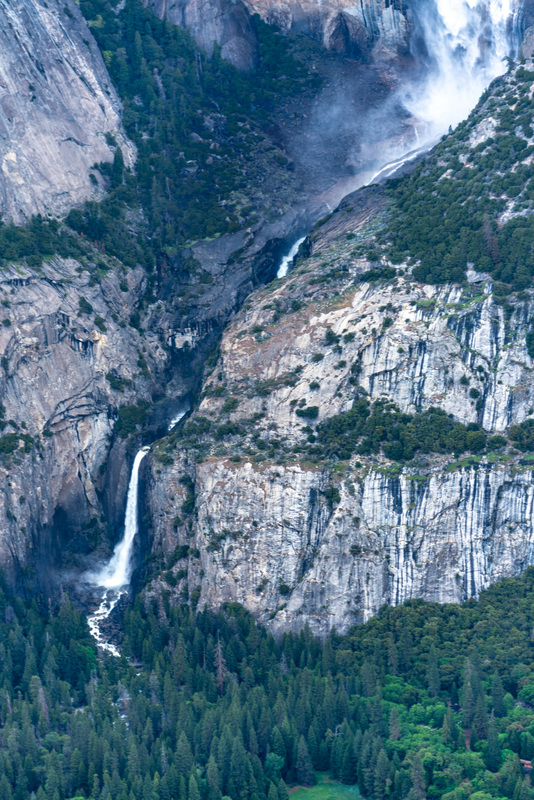 There are a few options inside the valley, but parking is a pain and you’ll probably want a homemade PB&J when you’re atop Upper Yosemite Falls. That’s all I’m sayin. Get gas before arriving to the gate. It was almost $5 a gallon right outside the park (saw me coming). The park is big, so if you’re an explorer and want to see a big portion of it, make sure you have at least half a tank! Know that this will be a pricey trip if staying in a hotel/airbnb. 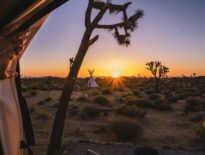 Prices go up around National Parks! Great post and beautiful photography!!! See , you can have an adventure without getting on a plane! May I suggest Lake Tahoe as another amazing destination. Summer is cool and not so crowded. Splurge a few nights on the Ritz Carlton near Truckee. Great tips! I was only in the Park for a day and a half back in September during a far larger tour of the state and ever since that day I have been dreaming about returning. It was a great time to visit Tuoloumne Meadows, which I cannot speak highly enough of, but we didn’t make it to almost all of these more jaw-dropping vistas that you did. I would also highly recommend Olmsted Point for those that need an easier hike. It could not be easier and yet it is an absolutely incredible view all the way across the park to Half Dome. If I had to price out that hike it would be a five star view for a zero dollar investment! So glad to know you loved Tuoloumne Meadows. I was about 6 days too early since CA-120 was closed last week and just reopened a few days ago! 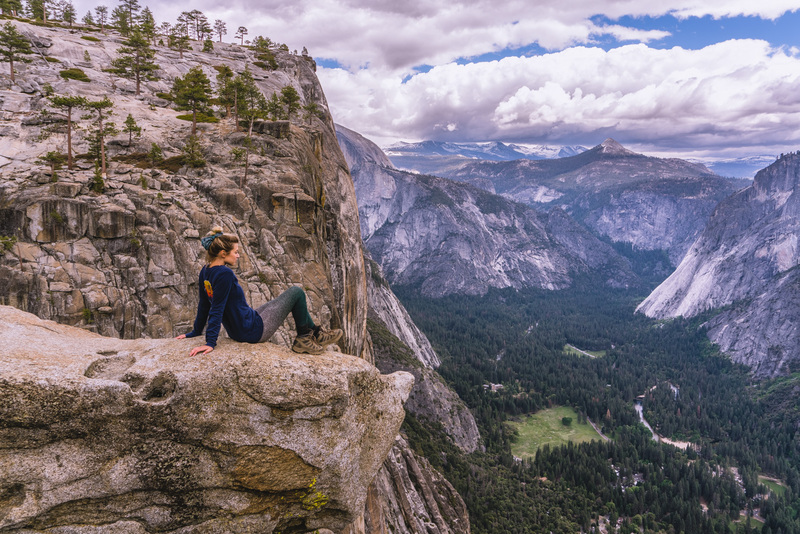 Sentinel Dome will always be my favorite Yosemite hike—great views of Half Dome and El Cap and the entire valley of waterfalls. Could even see Hotel Majestic (always the Ahwahnee for Yose lovers)! And worth the $ for the experience. Just be sure to reserve 6 mos. in advance. For pure magic though it’s Tuolome Meadows! My Father taught me to fly fish there, but go for the serenity! Gotta go back for Tuoloumne Meadows. The road was closed last week to get to it! You’ll make it there! Perhaps autumn! It’s beautiful and still hikeable until the first snow!! I did the Half Dome Cables last year and was the highlight of my life when it comes to a grand adventure of really testing your body to the limits! Ah so good to hear that. I must return! Sounds like this is the general consensus! Looks like a return trip is hopefully in my future! Another fantastic article from the amazing Lesley! I’ll be sure to take note of all the good tips when I tackle this bucket list adventure! Keep up the good work! I loved you on Bachelor Winter Games and love your lifestyle of travel!! Your such a role model to me and inspiring!! The middle shot in the shot of 3 is from Tunnel View. 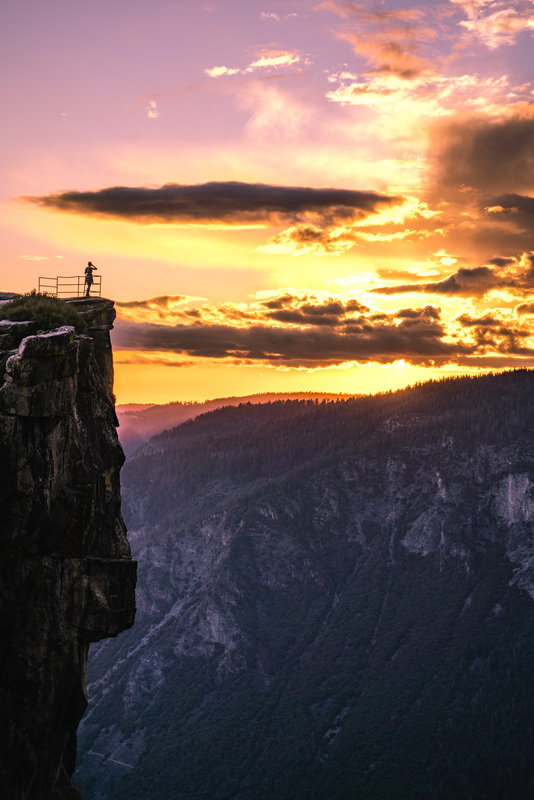 The other two shots + final photo are from Glacier Point! My wife and I followed most of your trip to Utah and it didn’t let us down. Looking forward to following this one day. Acadia is next for us! 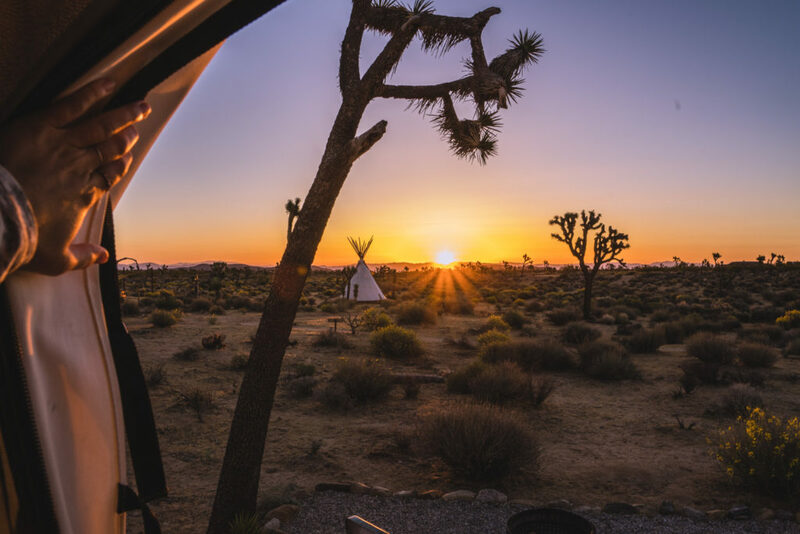 I think the one lesson learned from visiting national parks is that they equal high prices for modest accommodations and booking early is necessary if looking to stay in official hotels inside the park.